Even after getting family help to make a down payment on a home, first-time buyers still worry about their financial situation, according to a new survey from the Canada Mortgage and Housing Corporation. Eighteen per cent of first-time home buyers polled by CMHC said their down payment included a gift from a family member, compared with 71 per cent who said they used their own savings to make a down payment on a home. Those first-time buyers who had received help making a down payment from family reported feeling less comfortable with their amount of mortgage debt. "They were also less confident about knowing where to turn in the event that they run into financial trouble," said CMHC. "Similarly, they were less likely to have other assets to supplement their needs should they run into financial trouble." The CMHC's finding that 18 per cent of first-time buyers in Canada get family help seems "very low" for red-hot real estate markets like Toronto and Vancouver, said Lauren Haw, CEO of online real estate brokerage Zoocasa. In more affordable markets like Calgary or Edmonton, Haw said, younger first-time buyers can afford to enter the market and build up equity in starter homes on their own. "Whereas in the hot markets like Toronto or Vancouver, the starter home size comes at a pretty high price, so even in the starter home category there's typically parents or relatives coming up with some of the funds," said Haw. CMHC's findings on first-time buyers receiving family help with a down payment is in line with a 2015 report from the Canadian Association of Accredited Mortgage Professionals, which also found that 18 per cent of first-time buyers received a gift from family. A February survey by HSBC found 37 per cent of Canadians aged 18 to 35 received financial assistance from their parents. Twenty-one per cent of those millennials got parental help paying for unexpected costs post-purchase. According to the CHMC report, slightly more than half of recent mortgagees — 53 per cent — were aware of more stringent qualification rules brought in by the federal government. Those changes include an October move to require stress testing of mortgage loan applicants' ability to repay their loan in the face of potentially higher interest rates, and a February move to increase the minimum down payment required for homes worth more than half a million dollars with insured mortgages. Eleven per cent made a bigger down payment. Six per cent decided to buy a smaller home. Five per cent bought a home in a different location. Three per cent delayed their home purchase. The federal housing agency also polled respondents on their concerns and uncertainties about home ownership. 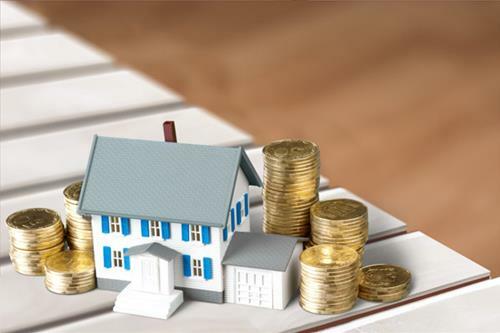 Fifty-seven per cent said they were worried about unforeseen costs, while 51 per cent said they were concerned about "paying too much for my home" or "living with post-home buying costs." Among home buyers, 32 per cent said they paid unexpected expenses during the process of buying their home, with immediate repairs being the most common expense. Fifty-eight per cent said they were likely to make repairs or improvements worth more than $5,000 within the next five years. CMHC's online survey polled 3,002 people who had either renewed a mortgage, refinanced a mortgage, or bought a home with a mortgage in the 12 months to March.